In case you missed it, here is Alex Grant's article Is America Great? that appeared in the December 20th edition of the Longmeadow News (with permission of the author and thanks to the Longmeadow News). It reflects sentiments that many of us have after last week's tragedy. 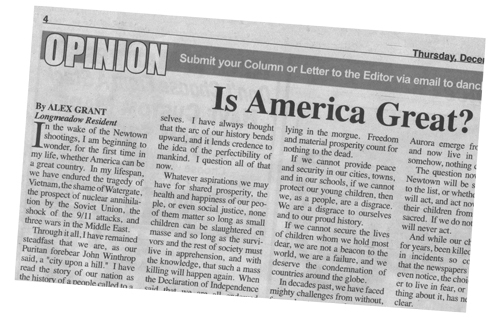 In the wake of the Newtown shootings, I am beginning to wonder, for the first time in my life, whether America can be a great country. In my lifespan, we have endured the tragedy of Vietnam, the shame of Watergate, the prospect of nuclear annihilation by the Soviet Union, the shock of the 9/11 attacks, and three wars in the Middle East. Through it all, I have remained steadfast that we are, as our Puritan forebear John Winthrop said, a "city upon a hill." I have read the story of our nation as the history of a people called to a higher purpose, as expressed in the Mayflower Compact, the Constitution, and in our current form of government. American courage and ingenuity, displayed for generations, from the War of Independence to World War II to the Cold War, have been placed in service to the rest of the world and to ourselves. I have always thought that the arc of our history bends upward, and it lends credence to the idea of the perfectibility of mankind. I question all of that now. Whatever aspirations we may have for shared prosperity, the health and happiness of our people, or even social justice, none of them matter so long as small children can be slaughtered en masse and so long as the survivors and the rest of society must live in apprehension, and with the knowledge, that such a mass killing will happen again. When the Declaration of Independence said that we are all endowed with the unalienable rights to "Life, Liberty, and the Pursuit of Happiness," it was no mistake that "Life" came first. Life is first because everything else flows from it. The society we hope to build in the coming years, however much we succeed in our aims, will be of no use to the Newtown children lying in the morgue. Freedom and material prosperity count for nothing to the dead. If we cannot provide peace and security in our cities, towns, and in our schools, if we cannot protect our young children, then we, as a people, are a disgrace. We are a disgrace to ourselves and to our proud history. If we cannot secure the lives of children whom we hold most dear, we are not a beacon to the world, we are a failure, and we deserve the condemnation of countries around the globe. In decades past, we have faced mighty challenges from without, forces bent on our destruction. We have been bloodied but not beaten. The problem of gun violence, however, is one of our own making, and being within our control, it ought to be susceptible to solution. But the list of mass killings has grown, they have become more frequent, and we remain paralyzed. Places like Columbine, Virginia Tech, Aurora emerge from obscurity and now live in infamy, and somehow, nothing changes. The question now is whether Newtown will be simply added to the list, or whether Americans will act, and act now, to prevent their children from being massacred. If we do not act now, we will never act. And while our children have, for years, been killed one by one, in incidents so commonplace that the newspapers often do not even notice, the choice of whether to live in fear, or to do something about it, has never been so clear. Are we so enured to gun violence, are our hearts so hardened, that even this will not awaken our consciences? In 1929, the murder of seven Chicago mob associates on Valentine's Day was enough to spark public outrage, and that outrage led to the downfall of Al Capone, whose organization carried out the killings. There was a time when we cared, when we refused to live amid anarchy and killing. We have to care enough now to change, to change our hearts and our ways, to make it so that Newtown will never happen again and children will not have to live in fear. That is the great task before us. We have before faced and overcome greater tasks, but we cannot doubt that this is a moment of reckoning for our country. The issue is nothing less than whether the honored dead in Newtown will die in vain. Sympathy, prayers, and grief are not enough. Killings like these must stop. If the deaths of the Newtown kids do not matter, then we as a country are dead inside too, and God have mercy on us all. We are lucky to have several new food establishments at The Longmeadow Shops. Since Max Burger and Peachwave opened over the summer, there have been many more cars in the parking lot. I have never seen it so full! 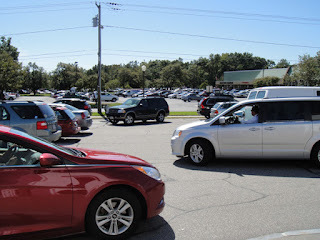 The place is especially crowded on Thursdays when the Farmer’s Market is open near the old Friendly’s location. 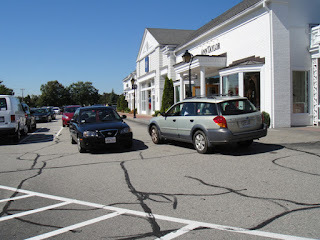 The shopping area was designed long ago and it is not easy to maneuver trucks and SUVs into and out of the tight spots. It is obviously tricky in front of Starbucks, as people get dropped off to go inside for a quick drink. On a recent sunny September day, we sat at a table outside The Semolina Bread Company, enjoying a delicious lunch. As we ate our wrap sandwiches, we noticed the increased congestion right away. We counted several Connecticut cars parked near us. I always thought the parking area was awkwardly designed; and we witnessed some bizarre traffic patterns. Some cars were making U-turns to find spots. Bad parking jobs were pretty typical, with people sitting in handicapped spots or double-parking near CVS. The time has come to re-design the placement of the parking spots. It is especially complicated near the entrance to Max Burger where people drive close to the sidewalk and outdoor patio. A speeding car could be dangerous and perhaps we need a deeper pedestrian sidewalk. It’s almost impossible for the elderly to get into and out of the shopping area as they walk to their cars. I also noticed people glued to cell phones and texting while walking in the lot; oblivious to the cars passing around them. 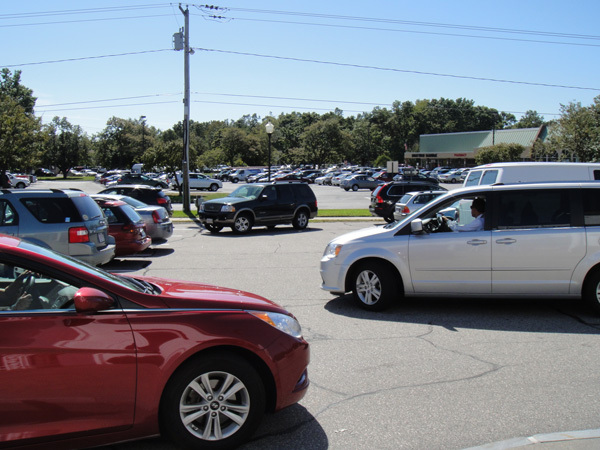 Drivers can become more aware as they enter and exit Longmeadow’s prime shopping destination, and we all can avoid talking on our phones as we park. Remember, these new restaurants are bringing in much needed business and the parking will only get worse when the winter snow piles accumulate. Let’s welcome the changes in traffic flow and keep the place safe at the same time! I hope the management can place traffic signs within the parking area to guide the flow of vehicles, walkers and bikers. 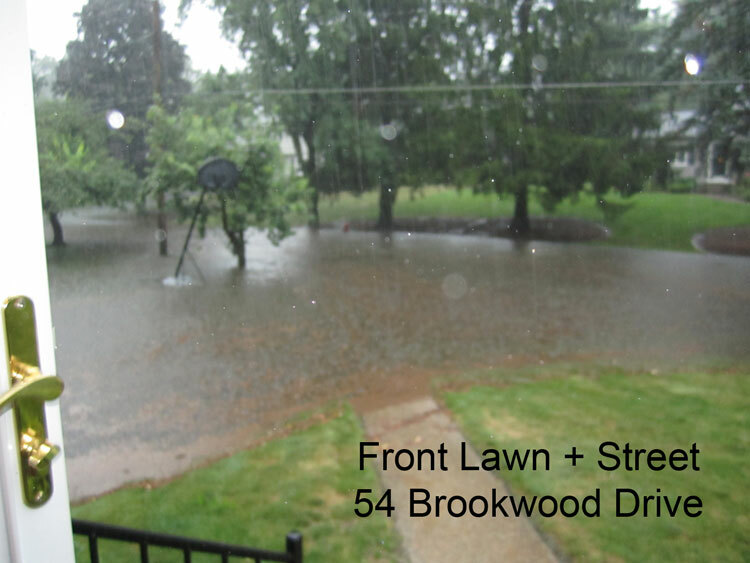 Our town continues to deal with significant water and sewer (storm + sanitary) related issues on a regular basis. 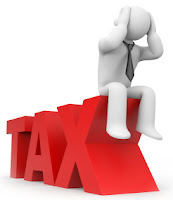 In many cases the problems are caused by aging or overloaded infrastructure. 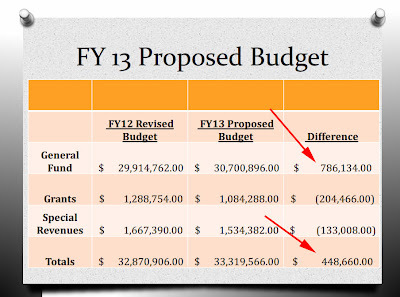 Cost estimates to fully repair the system were recently quoted by Mike Wrabel (DPW Director) at last week's Select Board meeting at $150 million (see MassLive article). The financial impact of this infrastructure repair was discussed during the High School Building Project but was dismissed as not having a high priority by the school project advocates. It's interesting to note that many of the sewer/ water related problems around town are not discussed broadly and only if a major water main break or other infrastructure problem occurs that causes inconvenience to many town residents do people become broadly aware of the situation. Sometimes a water damage/ restoration service vehicle + a dumpster in a driveway are the only clues that one of your neighbors has had such a problem. While Mr. Wrabel may claim that sewer backup problems for individual home owners do not occur very frequently, a number of my neighbors (4) can share some of the horror stories that have happened to them in the last couple of years. 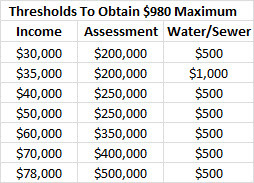 Consider returning home from vacation and finding 18-24" of sewage sludge in your basement due to a backup in the sanitary sewer in the street. All four of my neighbors can relate to that experience. At Monday's SB meeting, two of my other neighbors (Jerry and Jacqui Wise) shared their experience with a repeating horror story that has strongly affected their quality of life and pocketbook. One interesting comment made by Mr. Wise is that this specific flooding problem had never been an issue on the street until after the Wolf Swamp Road School renovation project was completed (2003). 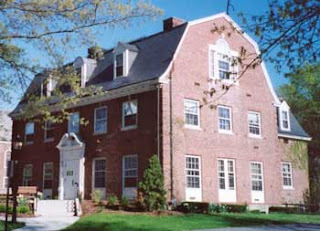 The Wises have lived in their home since 1996. Neighbors across the street who are original property owners (1972) have stated that problem never occurred prior to 2005. Questions: Was the additional building rain runoff from Wolf Swamp Road school diverted into the Brookwood Drive storm sewer system? Because the three incidents are considered flooding, none of the damage or possible remedial actions were covered by homeowner's insurance. Here is a link to the formal letter with additional details that was presented by Mr./Mrs. Wise to the Longmeadow SB. It's also interesting that this specific flooding problem has not been discussed at a previous SB meeting even though the DPW has been involved since 2005. Let's hope that this "quality of life" issue as well as financial burden for the Wises is resolved by the Town of Longmeadow. 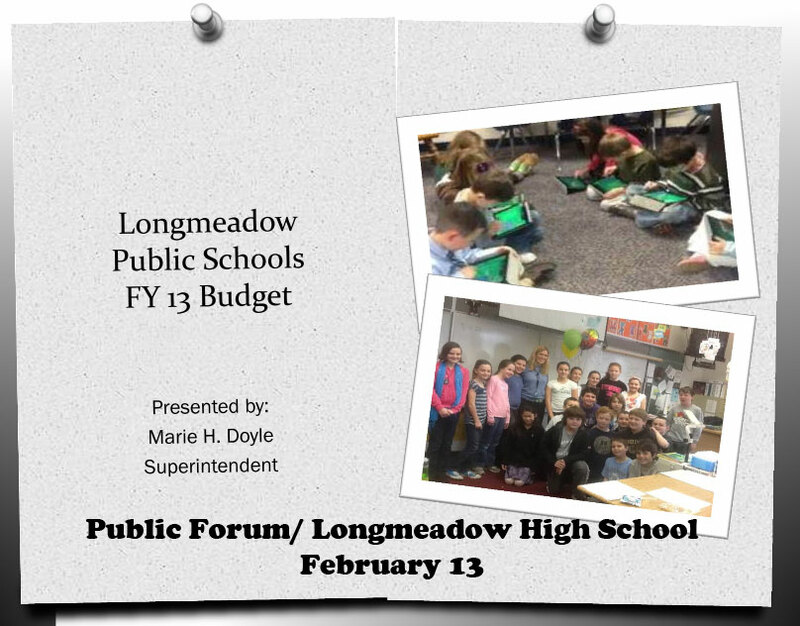 The Longmeadow Buzz will keep you updated. The article below entitled Reason to Care About Select Board Election written by Alex Grant appeared in a recent edition of the Longmeadow News and is reprinted here with permisssion of the author and thanks to the Longmeadow News. 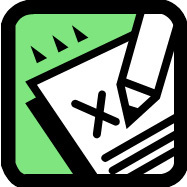 Mr. Grant's article provides some additional commentary about Tuesday's annual town election and Mark Barowsky's support for a change in Longmeadow's form of government. The May 15, 2012 special election to fill Christine Swanson's vacated seat on the Select Board gave voters not just a choice, but a strange paradox. 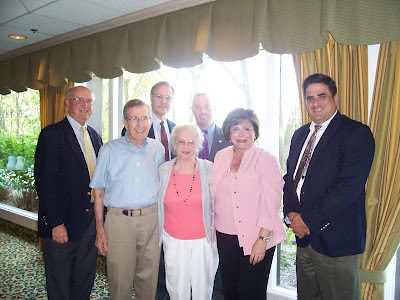 Mark Barowsky and Richard Foster, both vying to complete the one year remaining on Swanson's seat, will also be on the ballot, along with incumbent Paul Santaniello, at the June 12, 2012 regular election for two three year seats on the Select Board. Both Foster and Barowsky said before the special election that they preferred the one year seat and would encourage voters to pick the loser of the special election for the three year seat. Got that? The candidate who, having been rejected by the voters for a one year trial run, would be placed on the Select Board for a three year term, essentially by default. Of course, when there are three candidates for three seats, somebody is going to be elected by default. But it is a little strange that the preferred candidate would serve less time than the losing candidate. It is stranger still that the winning candidate would prefer that outcome. As it turned out, Barowsky carried a healthy majority of the three percent of the electorate who turned out to vote. Barowsky had pledged to support Foster in the regular election if he won round one. Assuming Barowsky sticks to his pledge, it will be up to the voters to decide whether to heed his desire to elect his opponent. Which brings us to the second paradox. If Barowsky and Santaniello win the most votes on June 12, thus giving Barowsky two seats, one of which he must vacate, then there will need to be another special election. The result could be three elections to decide how to fill three seats when there were just three candidates running. Children playing musical chairs usually have no problems when the number of kids and the number of chairs match. 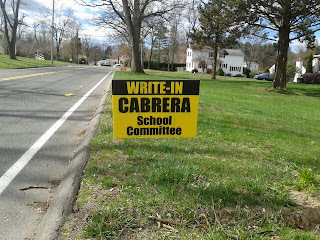 Not so this year in Longmeadow town politics. It is unfortunate that virtually all of the attention in this year's Select Board race is devoted to the procedural mechanics of holding a town election. Barowsky, if his pre-election LCTV interview with Arlene Miller is any guide, could prove to be more than a status quo candidate. Most candidates running for Select Board and School Committee keep it real general when stating their cases. They will tout their experience, tell you how much they love working collaboratively, and how nothing gives them greater pleasure than listening thoughtfully while other people speak. They will assure the voters that they want to look at the budget holistically, set priorities, and then, well, take it from there. Of course, when big issues force their way onto the agenda, like the new high school, it is hard to avoid taking a stand. Putting controversies like that aside, however, we have in recent years mostly seen status quo candidates and status quo policies from the Select Board. 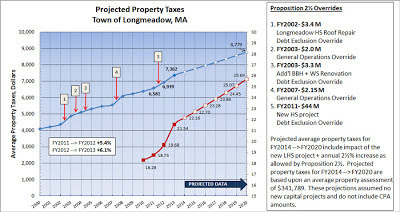 Perhaps that is a sign that Longmeadow is doing pretty well, and that shaking things up is neither necessary nor wise. Barowsky has advanced some significant ideas that would change Longmeadow. One is his support for a mayoral form of government. That would alter our quaint, Puritan-era form of direct democracy. Presently, power in Longmeadow town government is diffused to a great, great extent. 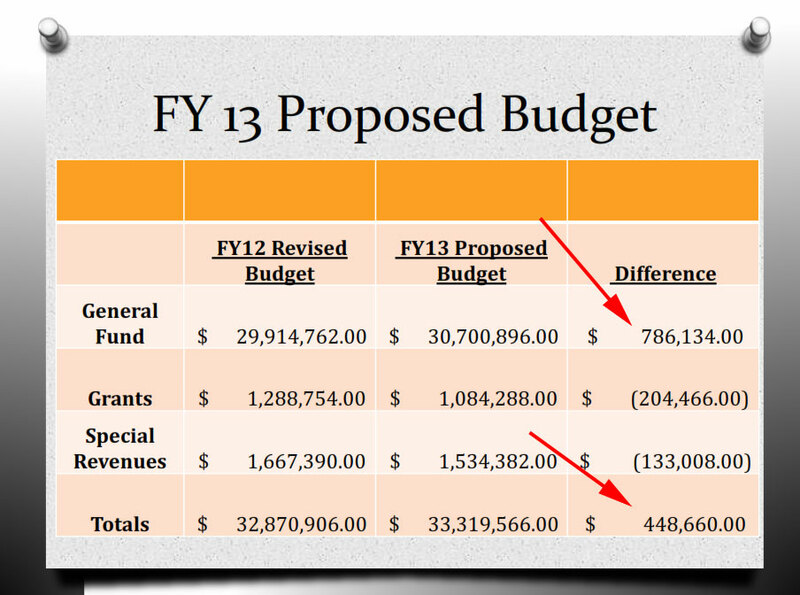 Voters at Town Meeting are nominally the legislative (law-making) body under our charter with the greatest power, but practically speaking, they approve the budget and spending put forward by the Town Manager, Select Board, and the School Committee. 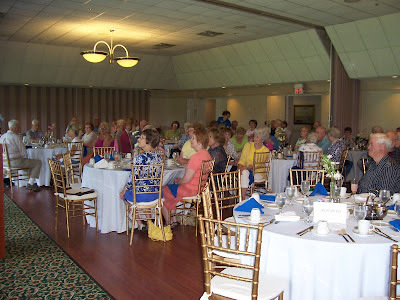 The Select Board, elected officials with the greatest mandate from the people, are nominally the executive body of the town, i.e., performing a managerial role. But that managerial role is largely performed on a day-to-day basis by a professional Town Manager. On the other hand, the Town Manager is weakened by the fact that she has no electoral mandate, and the fact that her job depends on the support of the Select Board. A mayor would reign supreme, assuming day-to-day administration of town government, armed with an electoral mandate, and not dependent on the Select Board for his or her job. The Select Board would essentially become a city council like we see in larger cities in western Massachusetts that makes laws, raises taxes, and passes budgets. A mayor with majority support from the Select Board could re-make the status quo every few years. And Town Meeting would be a dead letter. Barowsky has obviously thought about this issue, and perhaps he has support for it from other elected town officials who back his candidacy. If he is ready to push for a mayoral form of government, then we should be ready for one of the most significant debates in our town's history. 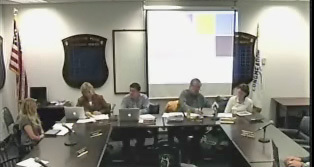 If he uses his position on the Select Board to place this item on the agenda, his term could be consequential indeed. 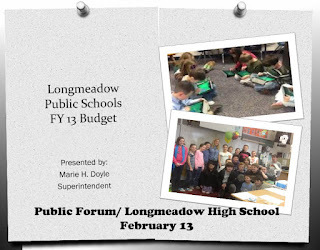 Longmeadow's Town Government is not working! Longmeadow's form of government (Select Board/ Town Manager/ Town Meeting) appears to be broken or in desperate need of repair. For the past two years we have had town elections for both Select Board and School Committee in which there were no voter choices. Voter turnout at these elections was very low with the Special Election on May 15 having the lowest turnout in recent history with less than 3% (344 out of ~ 11,900 registered voters) showing up to the polls. Only 535 voters turned out at the June 2011 town elections. The upcoming annual town election on Tuesday again presents a slate of unopposed candidates with voter turnout likely to be less than 4% (or ~ 400 voters- my prediction). The June 2010 ATE included the new HS override + a contested SB race. The June 2009 ATE had contested elections for both SB and SC. During the past year two vacancies on the School Committee were filled by candidates through a difficult School Committee/ Select Board interview/selection process. It is good to see that two of the three appointees are on the election slate for Tuesday. The fact still remains that after Tuesday only three members of the Select Board and School Committee (Gold/ Barowsky/ Jester) have been elected in a contested race. In effect Longmeadow has a self appointed form of government. The Select Board should consider formation of a new charter commission to study our alternatives. Perhaps, a mayor/ town council structure would be a more effective way to manage our town. At first glance it would appear that there is no real choice for Select Board in Tuesday’s annual town election. Paul Santaniello and Richard Foster will be elected. This is why another look is warranted. During his recent LCTV interview Mr. Foster stated that he was primarily interested in the one year seat. However, he didn’t post his election campaign signs around town until after the May 15 special election which was for the one year seat. Mark Barowsky won the one year seat in the May 15 election. His name is on the ballot again for the three year seat. Mr. Barowsky has stated that he will be at the polls on Tuesday telling people not to vote for him. That could result in Mr. Foster being elected. I urge town voters to consider carefully about electing Mr. Foster who stated in his LCTV interview that he wants to improve everything from schools to streets while identifying no real priorities or revenue sources other than reduction/ elimination of town services. His performance as chairman of the Capital Planning Committee was not very good. Over the past two years the Capital Planning process appeared to be broken because of his lack of leadership. There is an alternative to voting for Mr. Foster. VOTE FOR PAUL SANTANIELLO and MARK BAROWSKY. Yes, there will be a need for another special election but it can probably be conducted during the September primary election at no additional cost to the town. By then, perhaps a more qualified individual will come forward. 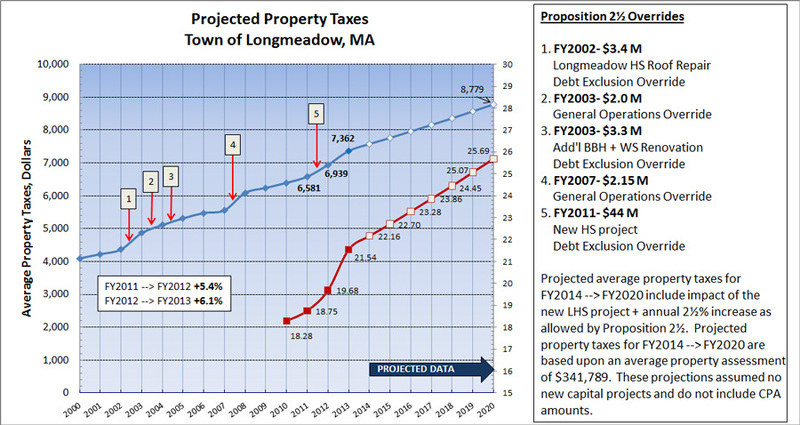 As many town residents, including myself, have stated Longmeadow has deep fiscal problems. We will be paying for the new high school for the next 30 years. 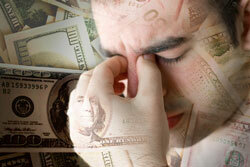 We have an additional $2.5 million debt that needs to be paid off thanks to Mother Nature. Our property taxes are by far the highest in Western Massachusetts (see Longmeadow Buzz post- Longmeadow Property Taxes Since 1990) while home sales prices are plummeting and foreclosures are increasing (see Real Estate Buzz post- 2012 Shows Disappointing Home Sales So Far). Our streets, storm sewers and the DPW facility are in desperate need of repair. We need capable Select Board members who are going to lead our town through this financial mess. I believe that Mr. Foster is not the person to do this. 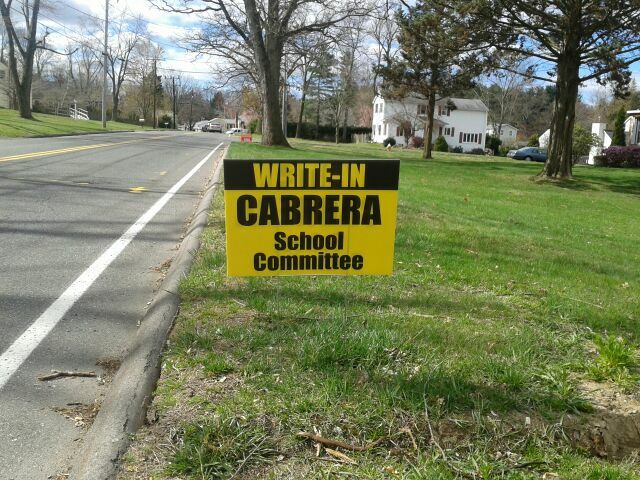 I urge you to vote on Tuesday for SANTANIELLO and BAROWSKY for the two- 3 year Select Board seats.